Health is never far from the headlines. Calls to ‘protect the NHS’, to the promotion of healthy living, through to fears about rising obesity, cancer rates or pandemics, all reflect our society’s preoccupation with health. Who ultimately is responsible for health? Is health simply a matter of genetics and lifestyle demanding more individual responsibility or are family, environment and inequality as influential? Should it be addressed through community action or government policy making? These issues make health an exciting and, at times, controversial, area of study. Delving into these issues, we ask if health services are fit for purpose – based on knowledge of what works, provided to the best standards possible and focusing on the right things. Health is not only a fascinating area to study, it is also potentially rewarding as a route into a career or for career development. 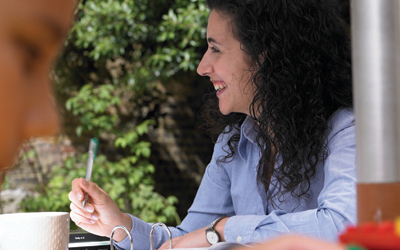 Most of our students are already in work – studying part-time alongside busy lives. The vast majority of our students are motivated by the potential to develop their practice and move their careers forward and many are sponsored by their employers who value the confidence and thoughtful practice OU study inspires in staff. Other students are service-users or carers who have the opportunity to draw on personal experience to develop their understanding of issues in the health arena and feel empowered to contribute to debates and perhaps even take action to make a difference to improve people’s lives. We offer a range of flexible and accessible courses and qualifications that address the area of health, including nursing, nursing practice and development opportunities for healthcare assistants. A full list is available in the health studies section of our online prospectus. There is also detailed information for those interested in our professional programmes and qualifications in nursing.